The funds are earmarked for development of a pavilion at the park to create a space for outdoor education opportunities and community activities. 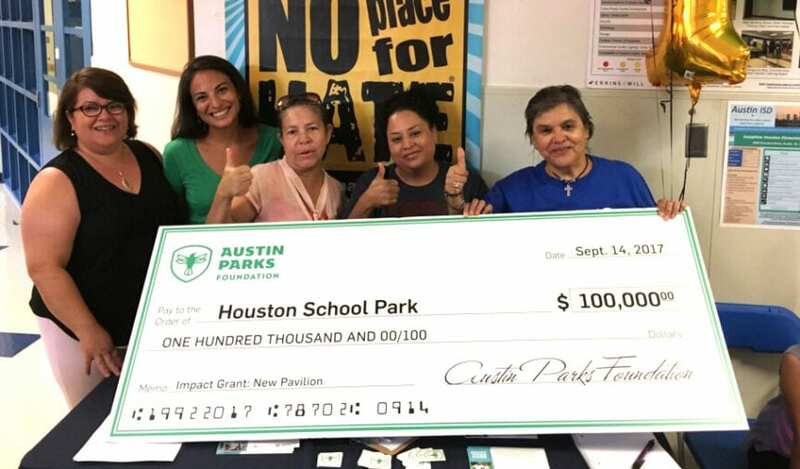 The grant money will be combined with funding from the City of Austin Parks and Recreation Department and Austin Independent School District in support of the project. Additionally, the school’s PTA plans to raise funds from the community to act as matching funds for a portion of the grant, officials said. The new pavilion will enable students and members of the surrounding community to gather under a shaded structure for outdoor educational opportunities, youth sports events, family picnics, cultural or civic activities, and other events. Austin Parks Foundation added the Impact Grant last year to allow for a variety of large-scale park improvements throughout communities in Austin. The $100,000 grant is awarded once a year to one Adopt-a-Park group looking to make large-scale physical park improvements or implementation of a master plan for their designated park. The goal of the Impact Grant and the ACL Music Festival Park Grants Program is to expand the reach of Austin City Limits Music Festival’s generosity and offer more opportunities for local park adopters to take ownership of the care and maintenance of their neighborhood parks. Additional grants in the program include Community Grants, which vary from $5,000 to $50,000 and are intended for large-scale projects, and Neighborhood Grants that range from $500 to $5,000 for smaller-scale projects. Austin Parks Foundation (APF) is a non-profit organization devoted to building public-private partnerships that develop and maintain parks, trails and open space in Austin and Travis County, according to information found on its website. Founded 25 years ago, APF hosts volunteer workdays and park activation events, provides resources for Adopt-A-Park leaders throughout the city, and offers training and education programs.